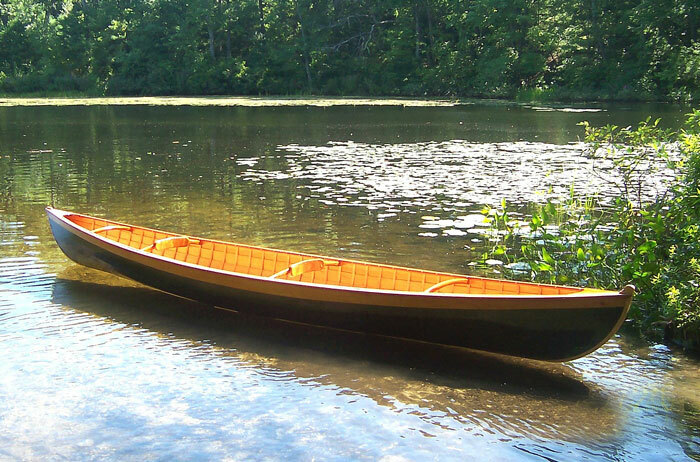 Bill McCullom of Boxford, Massachusetts, took a lofting class at Lowell's Boat Shop in Amesbury, Massachusetts, before buying the plans for Walter Simmons's 17' lapstrake canoe. 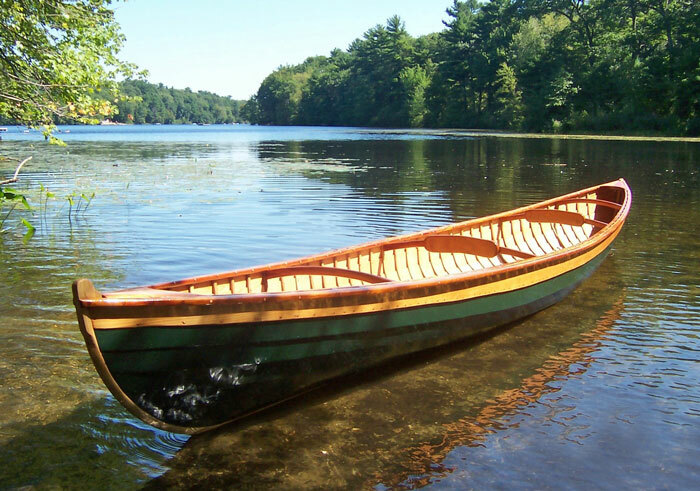 McCullom laid lapped cedar strakes on ash frames, trimmed the boat in mahogany, and then finished the hull with varnish and Kirby's Bottle Green paint. 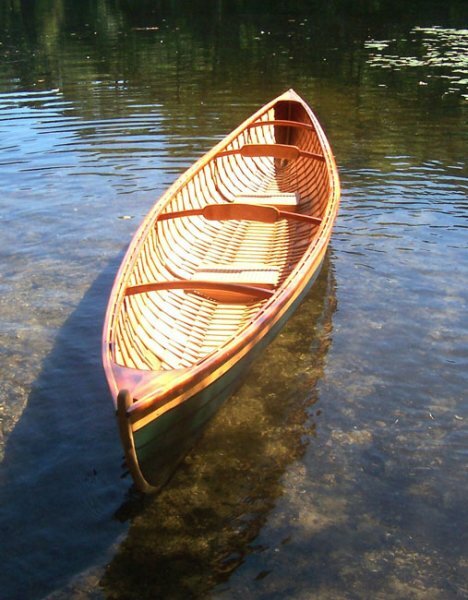 Plans are available from Walter Simmons at www.duck-trap.com.